Jennifer is a recognized leader in community-based social marketing and has more than a decade of experience developing and implementing community-based programs for public and private agencies nationwide. Her most recent clients have included the City and County of San Diego, the New York State Energy Research and Development Authority, the Urban Sustainability Directors Network, and the U.S. Forest Service. 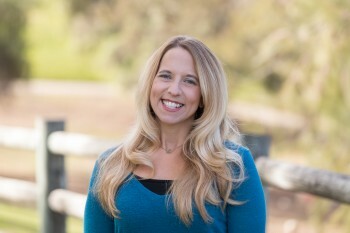 Jennifer’s work in the areas of community-based social marketing, environmental attitudes, and behavior change has been published in a variety of technical and academic outlets including the Journal of Environmental Psychology, Social Influence, BioCycle magazine, Criminology and the Handbook on Household Hazardous Waste. Key Talents: Jennifer’s primary talent lies in bridging the gap between university research and real-world applications by facilitating communication between diverse groups and navigating them toward a common goal. As principal owner and President of Action Research, Jennifer also ensures that all projects are consistent with the company’s mission and oversees business operations and development activities. When she’s not juggling meetings and deadlines, Jennifer is probably running, spending time with her family, or engaged in volunteer work. She loves the outdoors and the thrill of a new adventure. Her conquests include skydiving, kayaking with sharks, test driving a real racecar, and finishing numerous obstacle races.